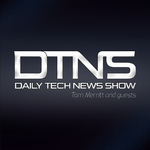 Pages in category "Daily Tech News Show Episodes"
Amazon to Home Drones in the Test Zones? Google, Now with More Fiber. What’s up with the Doxxing? Have you rebooted the plane? HP Splits. Think of the printers! This page was last modified on 3 May 2014, at 19:22.